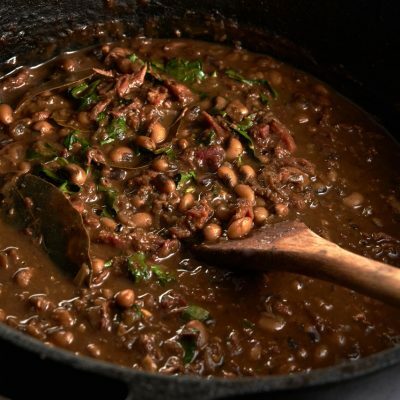 The association of blackeye peas with prosperity and a new start can be traced to Western Europe in the Middle Ages, with the symbolic round shape of the dried beans signifying that the old year has been completed, and a new one can begin. 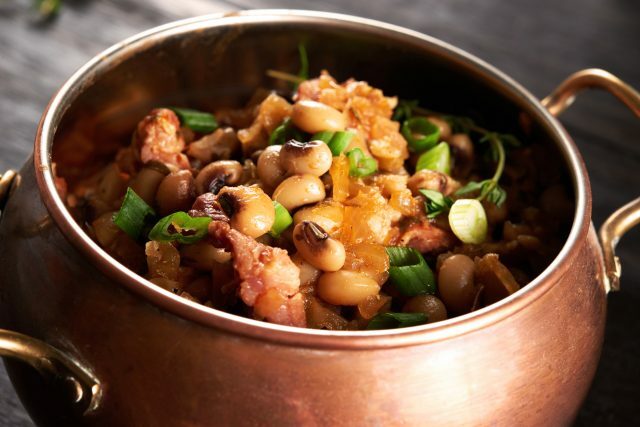 Seeing the small dried beans expand in size as they absorbed the cooking liquid also came to symbolize expanding fortune in the coming year. 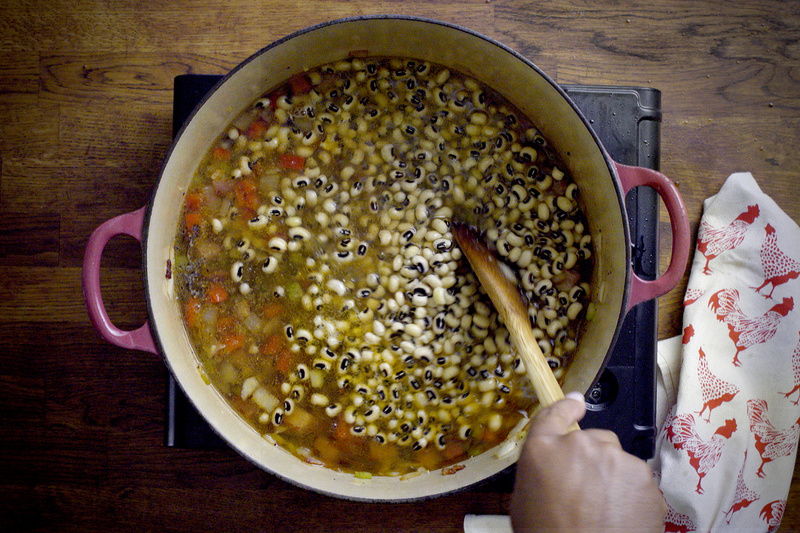 And peas also resemble small coins. 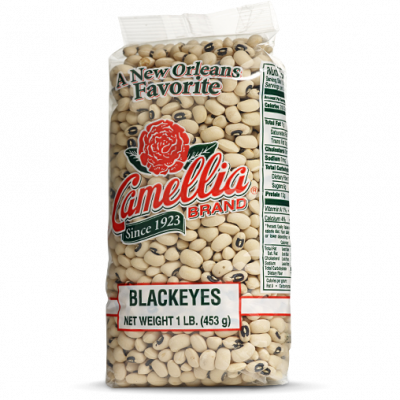 Despite the centuries-old tradition in the Old World, American colonists originally rejected blackeye peas as beneath them. 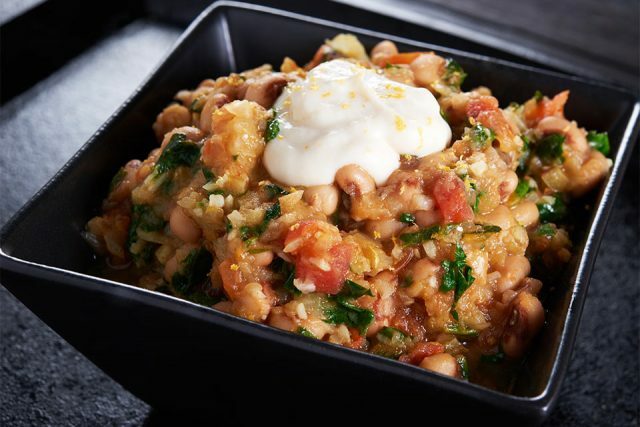 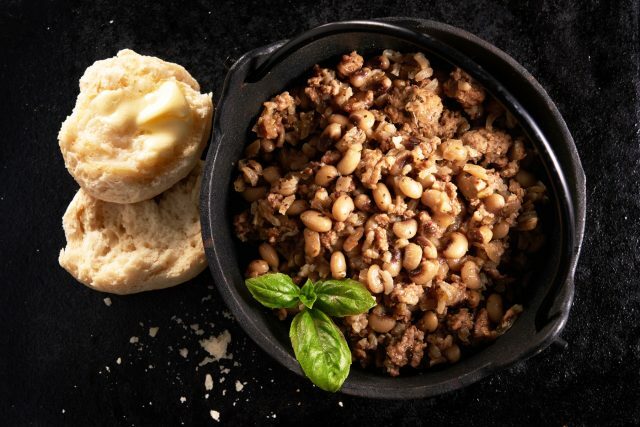 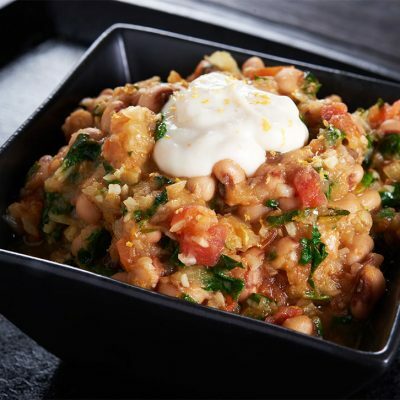 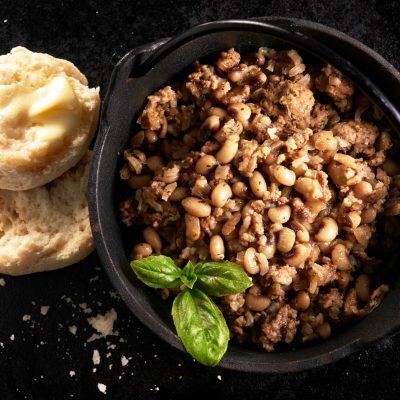 Prior to the Civil War, Northerners typically regarded the humble legume as suitable only as feed for livestock, while Southerners considered them a rough meal for field workers, as the beans were first introduced to the region by enslaved West Africans. 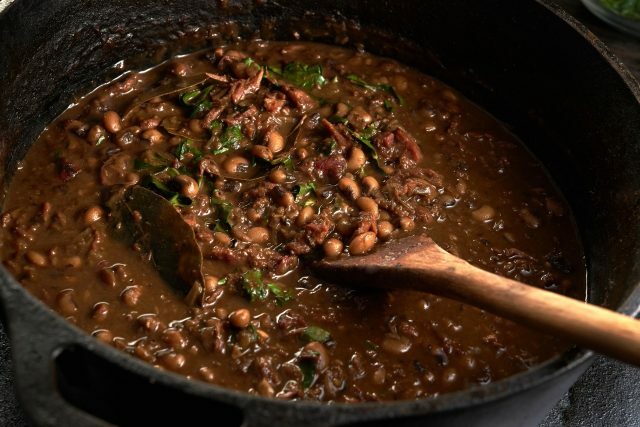 When the Civil War finally ended, desperate and starving Southerners revised their opinion of the readily available and nutritious blackeye pea. 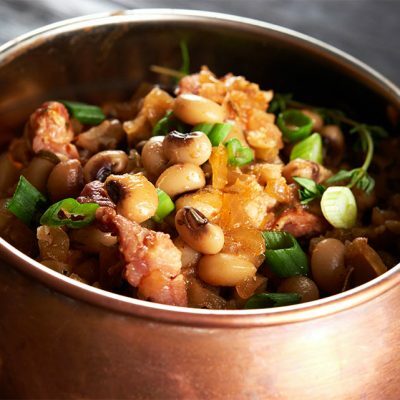 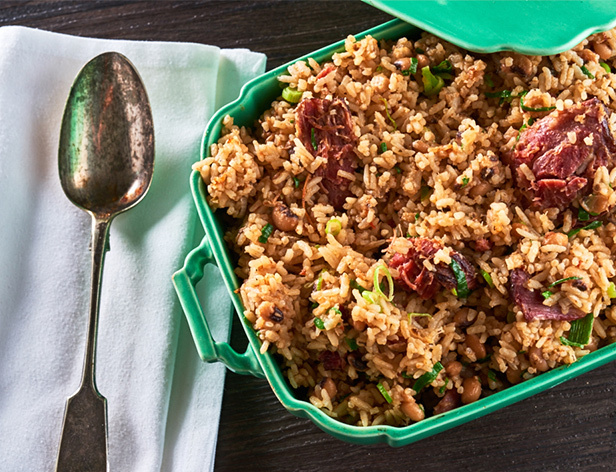 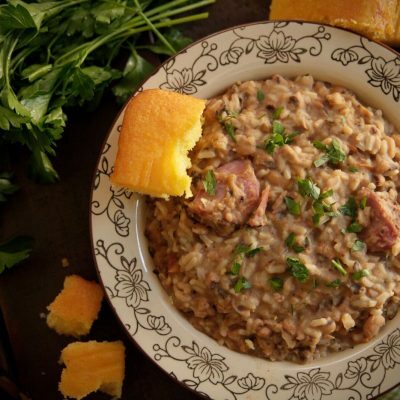 Slow cooked with smoked ham hocks, or other “lowly” parts of the pig, pots of nutrient-rich blackeye peas literally saved the lives of many families, and that led to their inclusion into the Southern culinary canon, where they remain firmly entrenched and much beloved to this day, most notably as part of the New Year’s Day meal.